Thousands Of Rural Women In India Are Turning Entrepreneurs And Becoming Financially Independent. “Financial independence makes a woman assertive and empowered. Financially empowered women are a bulwark against societal evils.” says, PM Narendra Modi. 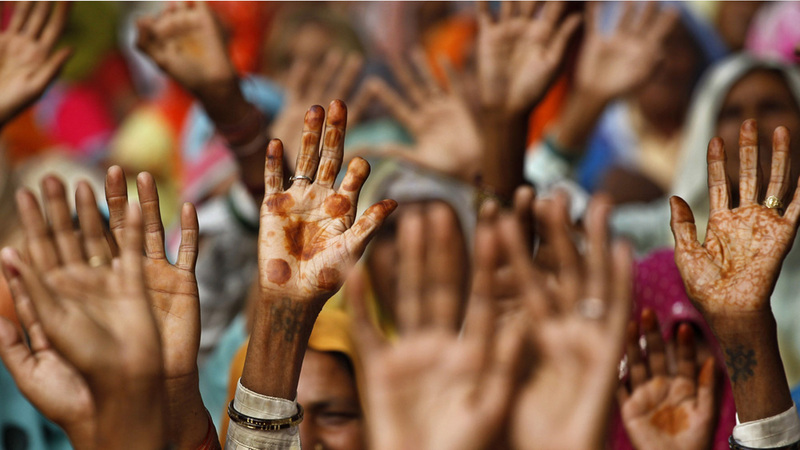 Approximately 45 million rural women across India are mobilized into self-help groups. These groups have empowered them with skills, access to finance, markets, and business development services. Below are few small scale business ideas for rural women who want to become an entrepreneur. Agarbatti or Incense Sticks is the popular household goods having a great potential market and is in demand all year round. Apart from India, agarbattis have potential markets in 90 foreign countries. One can initiate agarbatti making business easily on small-scale basis. Owing to the low level of technology involved in this industry, agarbatti making business can be initiated with simple machinery and moderate capital investment. Bindi is a consumable product, required by all women. Women entrepreneurs can start bindi making business with a small start-up capital and as a home-based business. Bindi making is a simple process with good marketing avenues and profitability. The demand of product exists and grows with the increase of the female population. Biscuit making is one of the most profitable small scale business ideas for women entrepreneurs. Despite the advent of modern, large capacity and automatic biscuit making plants, the large section of people still prefers fresh biscuits from the local bakery as they are cheap and offer many varieties. Biscuit making is a conventional activity and an entrepreneur can initiate this business with low startup capital. This makes biscuit making a very lucrative business idea for rural women. Candle making is one of the most profitable small scale business ideas for rural women entrepreneurs. People lighten candle not only for religious purpose but also as a decor item. Apart from the traditional long white candle, there is also a very potential market for scented and decorative candles. This business can be initiated as a small-scale and part-time basis. A thin wafer-like product often served as an appetizer, Papad making is one of the most profitable home based manufacturing business ideas for women entrepreneurs. With comparatively small start-up capital any individual can start this business. The demand is good and the production process is not that complex. Spice is an essential item in cooking and food processing. Spice grinding and packaging is one of the most profitable food processing businesses. Apart from individual spice powder like chilly, cumin, turmeric; special quality mixed spice powder processing is more profitable. Some of the most popular items are meat masala, curry powder, chat masala etc. Top 5 Obstacles Faced by Womenpreneurs.. Tips for a Successful Supplement Business..